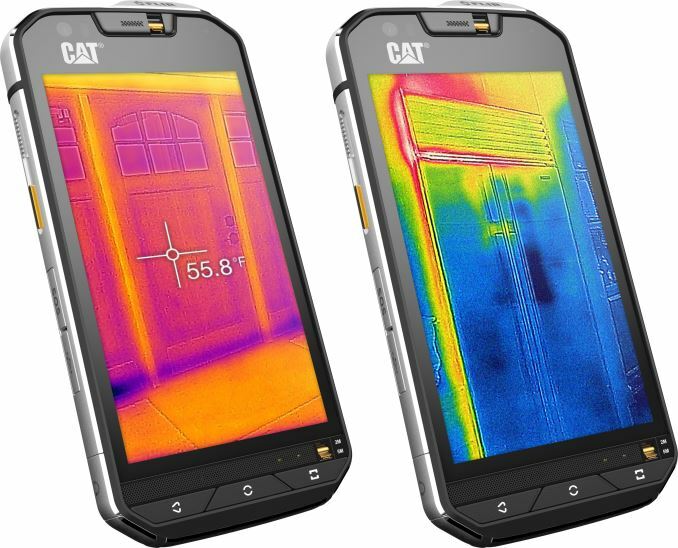 "The key feature of the Cat S60 is its miniature thermal imaging camera based on the FLIR Lepton sensor (with 80×60 active pixels). The camera, which highlights temperature contrasts, can be used to identify over-heating electrical appliances and circuitry (or just check which computer components are the hottest ones and measure their actual temperature using a special application), detect heat loss around windows and doors, spot moisture and missing insulation and even see in complete darkness... The Cat S60 smartphone is based on the octo-core Qualcomm Snapdragon 617 system-on-chip... the smartphone can withstand drops onto concrete from up to 1.8 meters (MIL Spec 810G) and can even be used underwater (up to five meters depth) for one hour."